Today, the first Friday in June, is one of the greatest days on the calendar. Why is that, you ask? It’s not the good weather. No sir/ma’am, the first Friday in June just happens to be National Doughnut Day! And how could you have a bad day on doughnut day? You can’t, that’s how! Dunkin’ Doughnuts is giving away a free doughnut with a beverage purchase (I recommend coffee), while Krispy Kreme is just giving away a free doughnut. So swing by Dunkin, get a doughnut and coffee, then hit Krispy Kreme and get another doughnut. It’s win-win! Doughnut, or Donut, Day was started in 1938 by the Salvation Army to honor the women volunteers who served doughnuts to front-line troops during WWI. 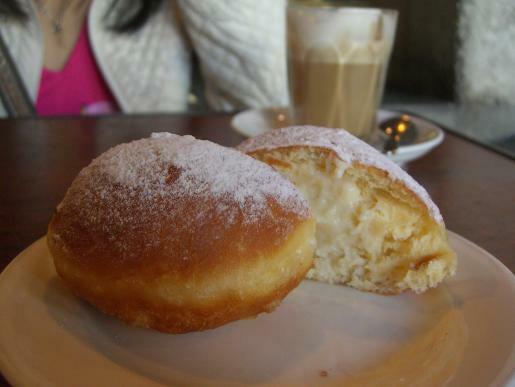 No matter how you take your doughnuts, be they cake or yeast, glazed or powdered, cream or jelly-filled… you can’t go wrong. I know where I’m going for lunch today!